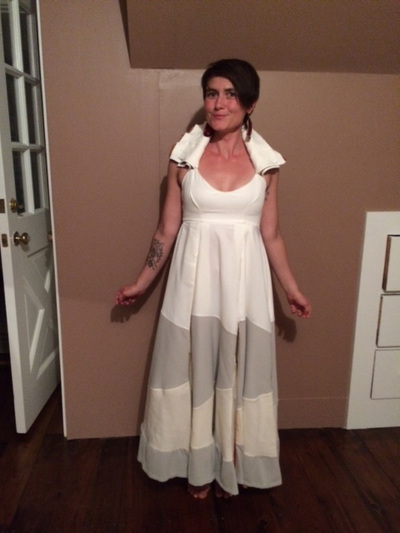 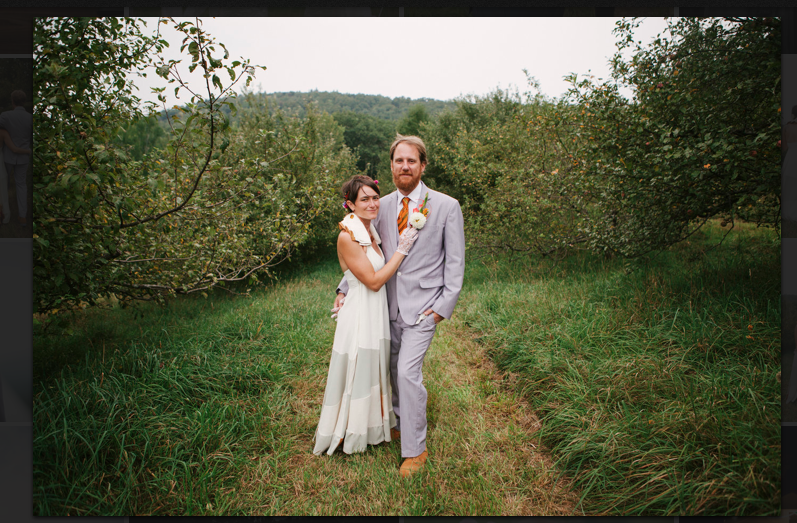 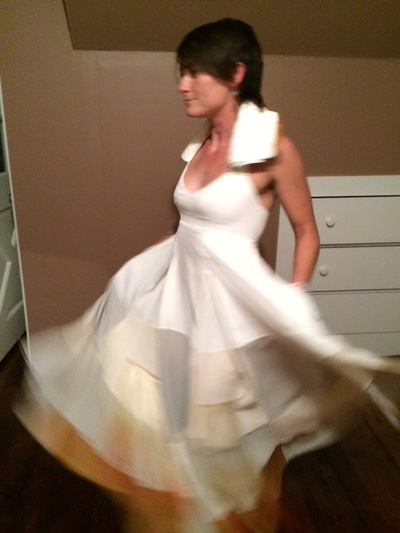 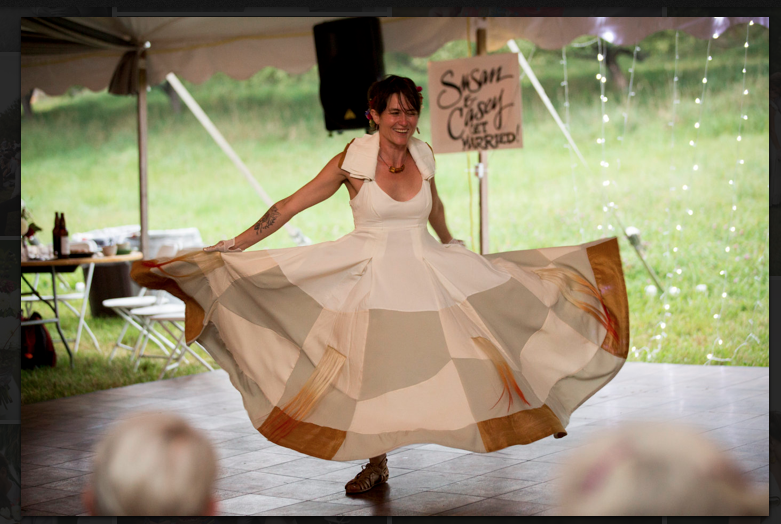 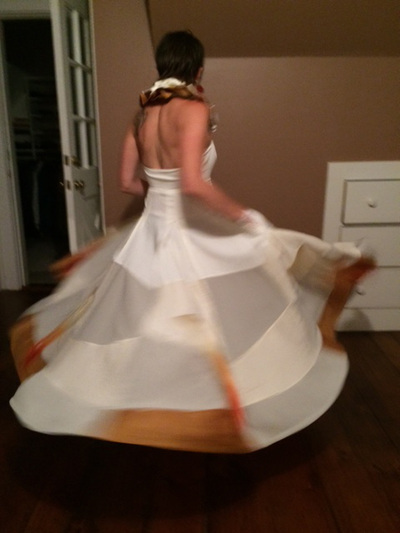 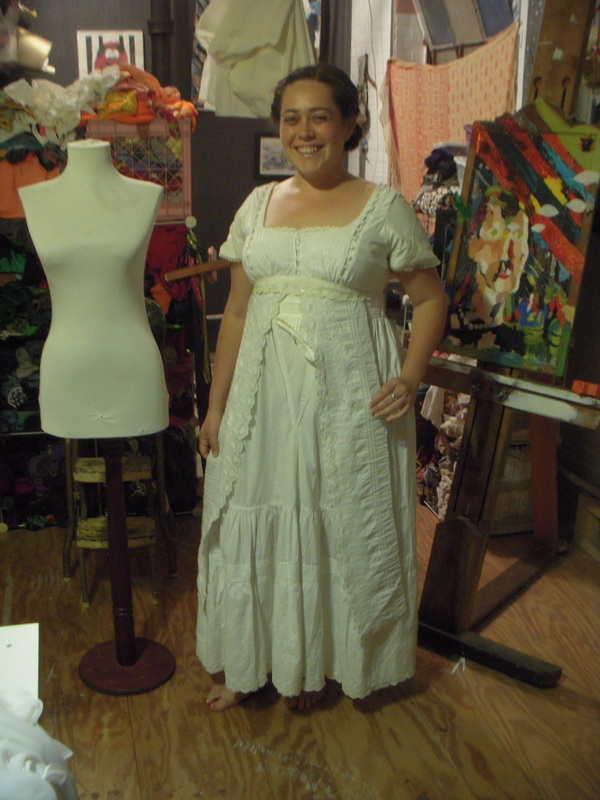 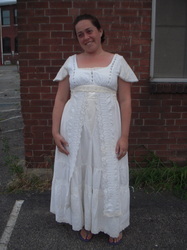 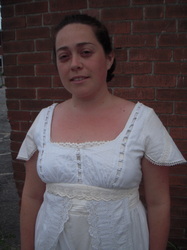 In 2014, Susan Sakash commissioned me to create her wedding dress. 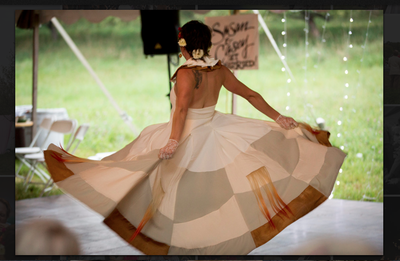 The dress has a multi colored hair extensions hidden inside the pleats. 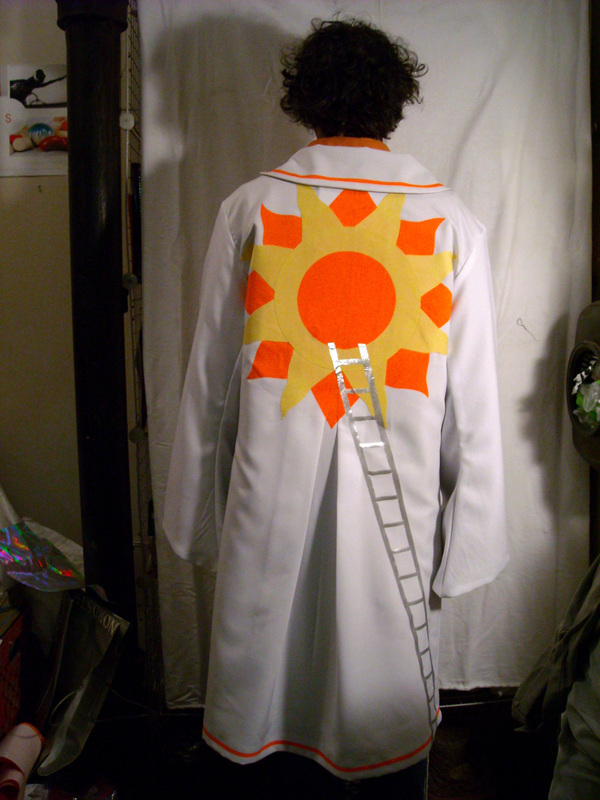 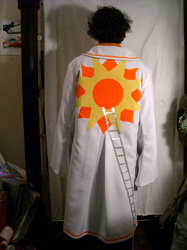 In 2012, Peter Glantz commissioned Ashleigh Carraway and I to fabricate this reversible costume designed by Jim Drain. 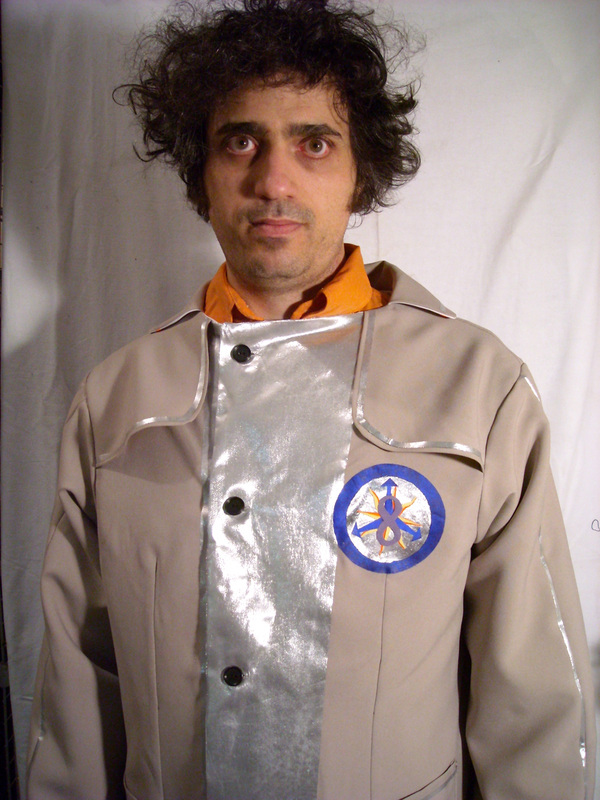 The costume is for his traveling performance the Peter Glantz and the imaginary company. 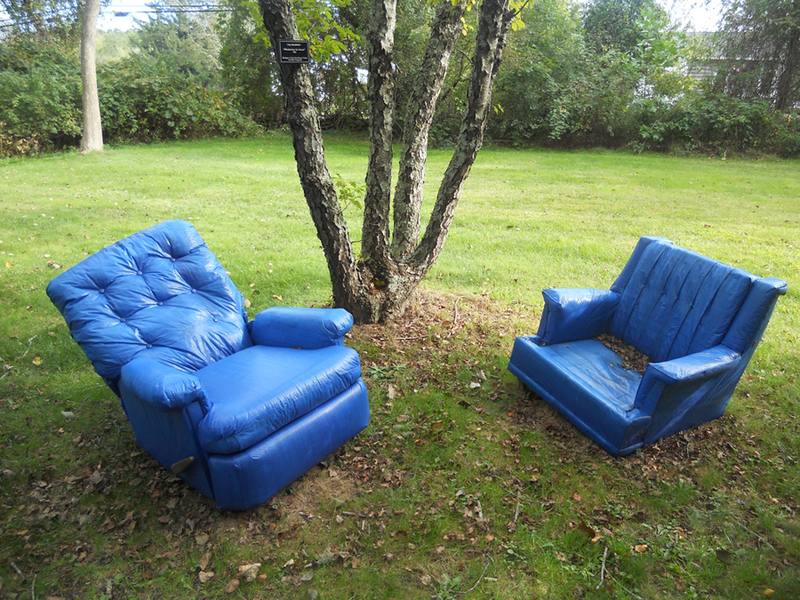 In 2011, Clay Rockefeller commissioned me to reupholster chairs in blue tarp for his art piece Weathering the Storm. In his interventionist piece, he photographed the original chairs, and returned them transformed to their original places. 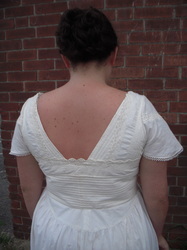 They were also on view in Tiverton, RI at Four Corners. In 2010, Jora Ehrlich commissioned me to create her wedding dress using vintage bloomers and petticoats that belonged to her great aunts. 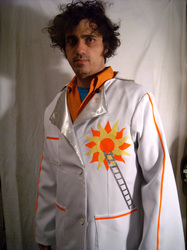 In 2010, Mindy Cherry commissioned me to create a prom-jumpsuit for her daughter Ruby. 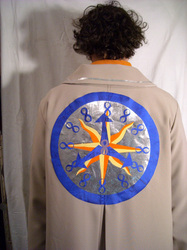 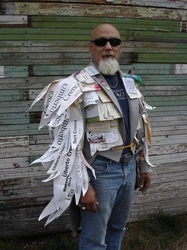 In 2008, AS220 founder, Bert Crenca, approached me to create a flux coat from his collection of name tags. 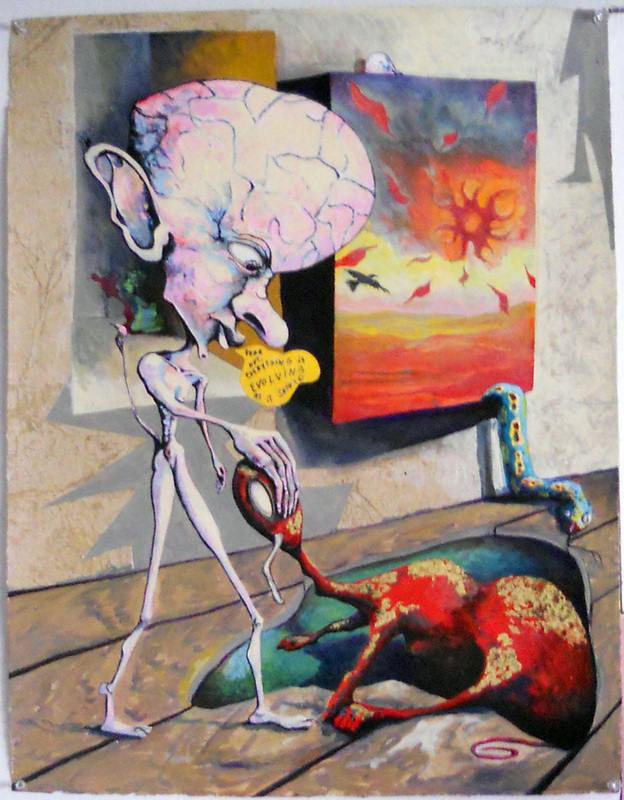 Part commission, part trade, I also received one of Bert's original paintings! 'Fear not, everything is evolving as it should,' states the creature in the painting. 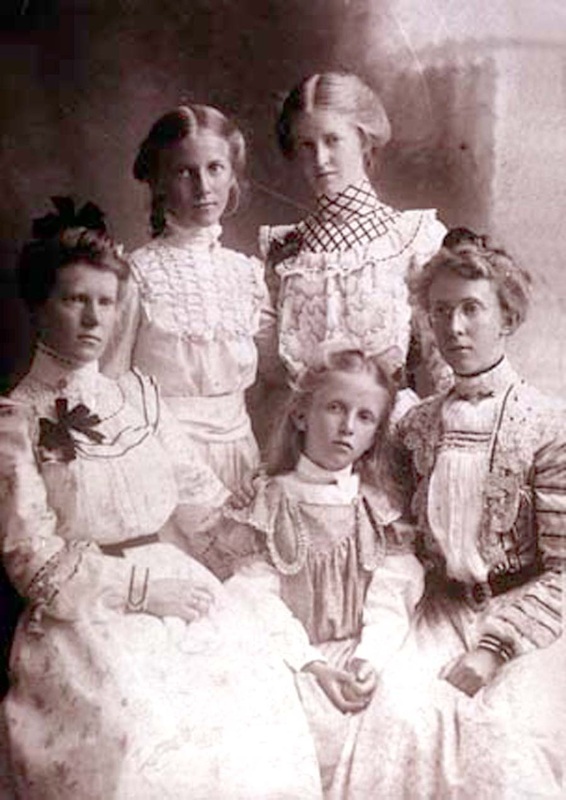 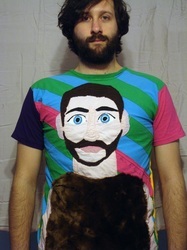 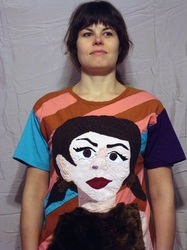 In 2007, The Awesome Brothers commissioned me to make quilted portrait shirts for them to wear onstage! 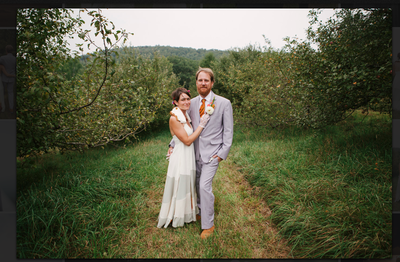 I captured them in my favorite of their prior costumes, big furry bear suits. 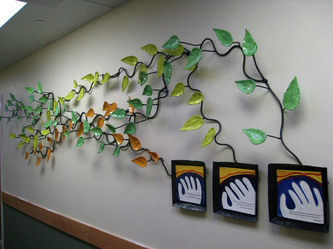 In 2007, The Rhode Island Free Clinic commissioned me to create their donor recognition art.